Barbara Hepworth was a dominant force in the 20th century art world in spite of the fact that she was always being compared to nasty men. It all began in Yorkshire, England driving around the countryside with her father. Hepworth described Yorkshire as a “curiously rhythmic patterning of cobbled streets...most ungracious houses dominated by slagheaps, noise, dirt and smell,” which sounds way harsh, but was actually the inspiration for the art she made throughout her life. Although she grew up in rural England, Hepworth was no country bumpkin. She received a scholarship to Leeds School of Art where she met fellow artist, Henry Moore, who – side note – stole all of her recognition to the point that people thought that she was Moore’s student. Oh, to be a woman in the early 20th century. But she didn’t let the patriarchy get her down. She later received another scholarship to the Royal College of Art after which she won a traveling scholarship to Rome. In terms of legacy, Hepworth is especially badass because she was the female-equivalent of knighted. She was dubbed Dame Commander of the Order of the British Empire, which is more than any of her male counterparts could say. She was quoted, “I rarely draw what I see – I draw what I feel in my body” which is exactly what most of her sculptures look like…internal organs. 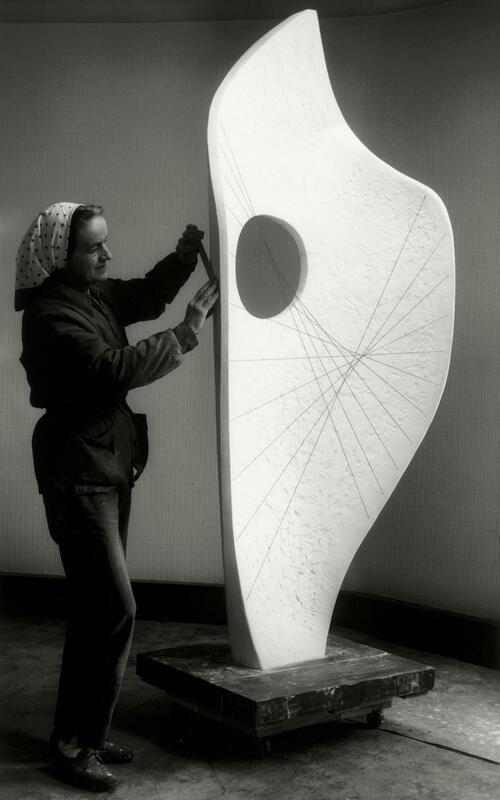 Check out the full Wikipedia article about Barbara Hepworth.